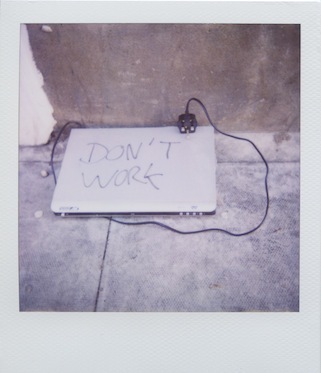 Lucy’s contribution is from a year-long project – 1 x Polaroid. In 2008 Polaroid announced that its instant film was to be discontinued. 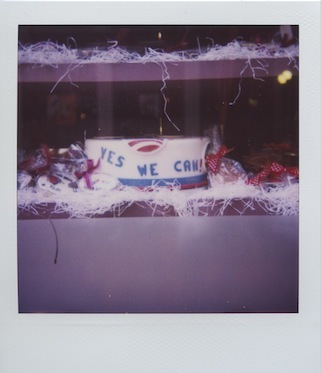 On January 1st 2009, I decided to take a single Polaroid for the next 365 days. My aim was simple: to make an image every day, to improvise and respond to a particular moment, without planning ahead. This rule was sometimes broken. Either if I was somewhere particularly eventful (resulting in more than one image), or if I ran out of film / couldn’t find a way to respond to the day, (resulting in no image). These days are represented by a blank Polaroid. The two images selected for OA come from East London and Chicago respectively. I’m often drawn to abandoned, yet arranged objects, similarly objects which are adapted in order to deliver a message, (and sometimes, perhaps, a message more ambiguous than intended!). Lucy Cash has offered a ‘visual interpretation’ of the term: Object abuse. Track ip address tracker track.